Each year, the Design Bloggers Conference gathers design-loving bloggers and interior designer bloggers together for a few days of networking and educational seminars. If you didn't make it out to Los Angeles this year, here's what you missed. The 2018 Design Bloggers Conference brought design lovers and bloggers from all across the U.S. (and the globe really) to Los Angeles for a three-day event. From March 4-6, attendees gathered at the Beverly Hilton to hear seminars, meet well-known designers and network. 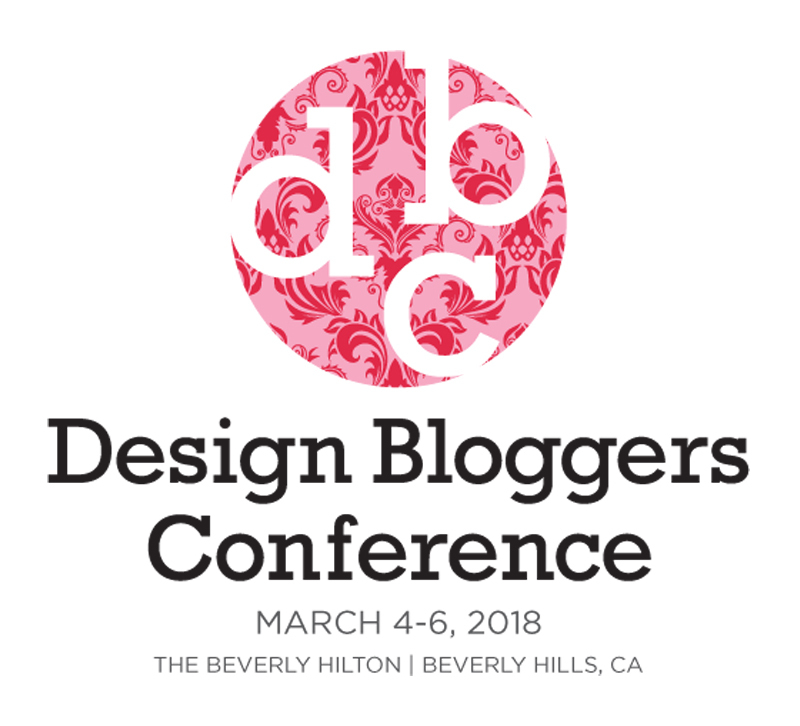 If you couldn't make it out to LA, here are the highlights from the 2018 Design Bloggers Conference. Adam Japko, the Design Bloggers Conference founder and CEO at Esteem Media, opened the event with a thought on algorithms and the need to break free of them. Although algorithms are complex, using them is more of a science than an art. If you target keywords, update your blog regularly and follow SEO best practices, then you will eventually start to see more traffic on your website and more social media followers. But in our personal lives, algorithms confine us, Japko argued. They calibrate what we see based on what we've previously clicked on, liked or shared, and while it is nice to have technology that understands us so well, it creates bubbles for us. We may be missing out on new hobbies, TV shows and interests because they're just outside our bubbles. With this in mind, the conference aimed to pull everyone out of algorithms and let the serendipitous nature of life take its course. Japko encouraged listeners to pull themselves off their phones and take chances in getting to know the people around them. Who knows? A connection here could lead to a partnership down the line, a good piece of advice or even just a new friend. It's easy to convince a room full of bloggers that social media matters, but in many seminars, it became clear that of all the platforms, Instagram seemed to matter the most. Many speakers said they got leads from people finding and liking their Instagram feeds. But listeners in the crowd seemed to be concerned about the quality of those leads. They asked for advice on how to determine whether a client was only passingly interested or serious about hiring a designer. There were also a lot of designers concerned about whether clients who found them on Instagram would be good fits for them in general. Listeners who asked questions worried those leads would develop into difficult clients, ones who were far more demanding and questioning and didn't seem to like what the designer was trying to accomplish. Speakers recommended setting up short phone calls with potential clients to help better gauge the fit. In 15 to 20 minutes, designers should have a better understanding of what the potential client wants as well as what their budget is. This is also a good time to find out if the client really understands the cost of a professional designer. Talking about money right away may seem taboo, but having this discussion earlier can help set expectations. In her keynote address at the end of the Design Bloggers Conference, designer and blogger at The Jungalow Justina Blakeney described the blogging scene in 2009 when she first launched The Jungalow. Pinterest was brand new, and most of the interior design images showed white rooms with minimalist designs. One look at Blakeney's blog, and you can imagine that these white-on-white rooms just didn't speak to her aesthetic. When she launched her blog and started posting photos featuring her bold and colorful designs, readers couldn't help but react. On Pinterest, her voice stood out against all that white, and as one of few bloggers who was embracing color as much as she was, Blakeney attracted a ton of followers just for being different. Every day, she said, she gets direct messages from readers and fan who thank her for bringing more color into their lives. Blakeney inspired the crowd to look beyond what everyone else is doing and to embrace what makes them different and sets them apart. The home decor industry as a whole focuses on trends and colors of the year, but especially online, bloggers should never be afraid to go beyond trends and embrace what they love, even if it's not trending right now. As Blakeney's followers show, readers love authenticity above all else. The Design Bloggers Conference launched in 2011. At the time, bloggers who wrote about design and fashion mostly attended, but over the years, the conference now includes more interior designers who also happen to blog. The event offers a fun space — the conference jumps coasts each year and will be in Atlanta in 2019 — for bloggers to meet other design bloggers facing the same challenges they are and to learn from each other. Additionally, the Design Bloggers Conference welcomes brands and publications looking to partner with designers. If you're looking to become an influencer with a brand, this conference is a great opportunity to learn how to connect with brands on your own and meet representatives from some well-known manufacturers and brands. If you attended the 2018 Design Bloggers Conference, what event or seminar did you find most helpful? If you didn't make it, will you go next year? Share your thoughts with us in the comments!